Creepy and hauntingly wonderful. I loved this book! 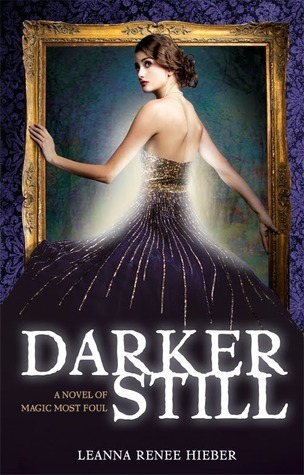 Darker Still ties in the stories of Dorian Gray and Dr. Jekyll and Mr. Hyde in the late 1800's. It intertwines the gothic horror stories with a sweet love story befitting of any Austen novel. The love between the two main characters is pure and innocent and deeply contrasts the eerie surroundings of their circumstances. I loved that Natalie was mute (is that too much of a spoiler?). It was so original and added so much to the story. It was really a main component to what happened to her. The nightmares that Natalie suffered from dipped over into the horror realm- they were scary! (Then again I have a VERY overactive imagination!) The author is a fantastic story teller and really knows how to create a complex and compelling storyline. I can't wait for the next book. The only problem is- unless I commit some sort of breaking and entering- I have to wait a long time for the next book! Do yourself a favor and go read this book! Your review is filled with a haunting flavor so I can just imagine the story being wonderfully haunting as well. I'm so excited to read this one, glad to read a good review! I've been wanting to read this one ever since I first read the summary. I'm so happy that it's good!